NERT is collaborating with Building A Local Economy (BALE) to bring NERT members, affiliates, and aligned groups together in Vermont for our annual in-person gathering. “Localize It! What Resilience Looks Like“, will be held October 21-22, at the Vermont Law School, in South Royalton, VT. If you and/or your group would like to be one of the panelists, and/or if you would like to have your story and experiences shared and amplified, and/or you would like to recommend someone, please contact us at your earliest convenience. We as NERT can have four breakout sessions during the two days of the conference. The ROCkers framed two of them, and the other two are open for proposals from the NERT membership and community. A. If you would like to host a break-out group, please submit a brief proposal to us, by September 7 at the latest. 1) How can regional scale organizing support and amplify the Localization movement? 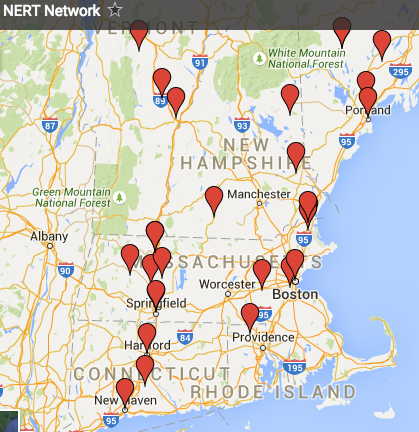 2) How can the New England Resilience and Transition Network (NERT) best use its resources to support Localization? C. “Is This What Democracy Looks Like?” This is the long view plenary with Frances Moor Lappe and Susan Clark, who is the co-author of the book, Slow Democracy. We are working on offering other ways to engage and share resources when we have the opportunity to meet in person in October. Stay tuned!